Lingerie pins are sweet, little pins used to hold a proper lady’s undergarments in place. Often sold in pairs to combat each bra strap from a visible display of embarrassment. Since a Victorian lady would want something elegant, even for her undergarments, pins were often decorated with gemstones, pearls or decorative enameling. Used not only for bra support, they could often be found holding slips and other intimates. Never to be seen on the outside of a garment, of course! But first we must understand the history of undergarments, from corset to the modern day brassiere. It is said that the corset was a direct result of Queen Catherine de’ Medici’s strict distaste of thick waistlines in her French court during the 1550s. She despised an ill figure and wanted only the hourglass figure to surround her. Corsets are known for slimming the body to conform to a fashionable silhouette. Historically a corset was made out of lace with rigid stays sewn around the lace to ensure a proper figure. The stays, or boning were often whalebone or reeds, and later metal was used. The undergarment was typically laced up the back, with help from a lady’s maid extreme force was needed to secure the garment in place. During the 1700s, a casual corset evolved. A quilted waistcoat could be worn for more informal occasions, saving the stiff corset with stays for formal court appearances. As a woman’s corset was fading during this time, the man’s corset surged. 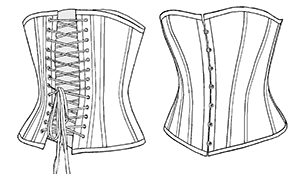 Claiming that a corset could solve back pain, men began wearing corsets to help with body ailments. While clothing silhouettes slimmed down so did the use of multiple undergarments. The need for crinolines, hoop skirts, and bustles were a thing of the past. In the late 1800s the dawn of the corset was diminishing. The role of women in society was quickly changing, women began entering the “man’s” world and the need for more flexible clothing grew. By the 1890s the first wave of feminism was in full swing. A corset prohibited a more active lifestyle and by the early 1900s was no longer en vogue. The term brassiere was first used in the 1893 publication of the Evening Herald in Syracuse, New York. It wasn’t until 1907 when Vogue magazine first published the term. Undergarments were the first to be modified because they could be changed without exposing the wearer to social ridicule. By World War I the corset was nearly extinct. The metal that was once used for stays was now used for the war effort. A simple fabric bra and slip were common lady’s undergarments. Secret, hidden accessories were always needed regardless of which type of undergarment worn. Social etiquette dictated the need for lingerie pins, and garment clips, so as not to expose the unmentionable. By 1932 the brassiere was mass produced with elastic straps and standardized cup sizes. Clips and pins appeared on the outside of garments to hold sweater necklines. As antique fashion etiquette is exposed, so shall its beautiful adornments be displayed and worn on the outside of current en vogue garments. 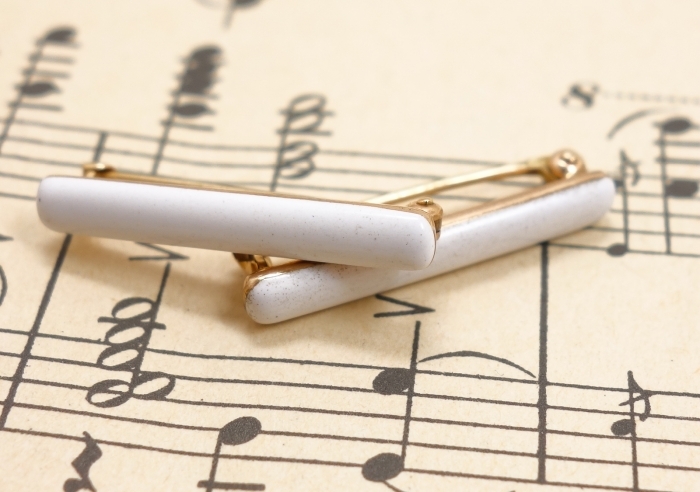 Lingerie pins can be quite collectible in the current market. 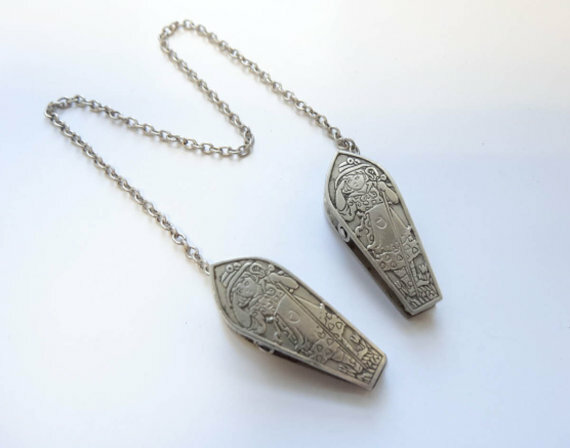 To shop for some of our Victorian jewelry, visit it us at NineCarolineAntiques.